This book looks at how to audit the performance of an organization effectively. This book takes auditing approaches, some of them already in use, and combines them in a new approach. It also exposes the inherent weaknesses built into the existing audit process. This new synthesis is a fundamental shift in the ways in which audits are carried out. 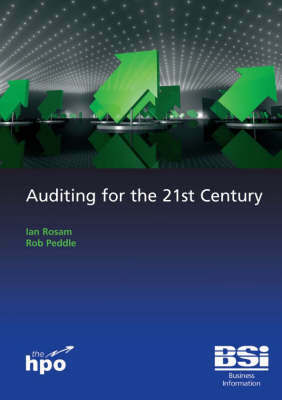 Ian Rosam and Rob Peddle have developed these auditing techniques based upon implementing process-based management in the 'real-world', and on the need to have robust and appropriate auditing techniques for today's organizations. Through such techniques, senior managers need to be able to complete the continuous improvement loop, manage risk and effectiveness and drive improved performance. These techniques also need to be able to be applied to the surge of compliance requirements that organizations now face, often outside the normal sphere of standards implementation, which could potentially lead to prosecution.